My submission titled “Performance Based Pavilion Design” is accepted to the eCAADe 2013. Pleased to announce that I recently finalized my PhD studies and have been awarded with a Doctoral Degree following my jury in February. 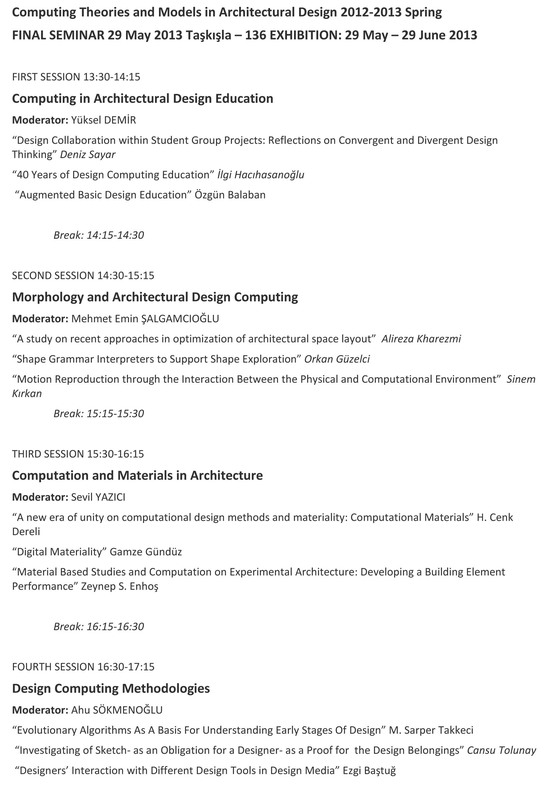 My thesis is titled “A Material-Based Integrated Computational Design Model in Architecture”. 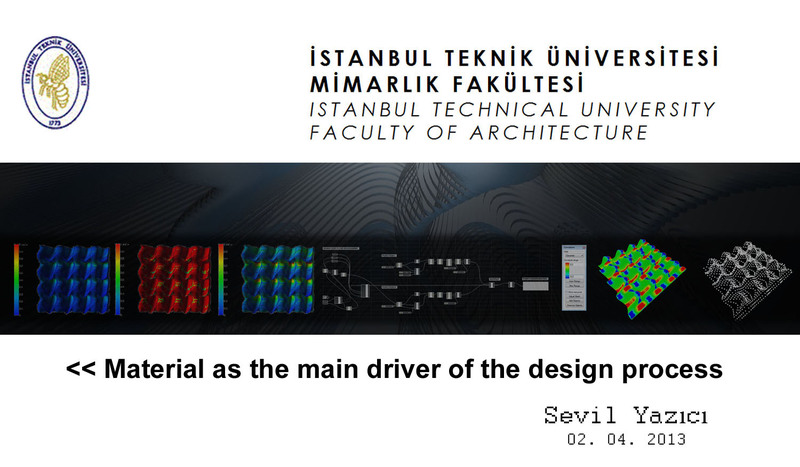 I was kindly invited and joined today to the Final Jury of the Master of Architecture (MArch) Design Studio / MTZ 513-MTZ 503E at Istanbul Technical University (ITU). Different project clusters were focused on various locations of the site, Maslak Campus of ITU. The project brief consisted of rehabilitating the existing buildings, as well as proposing new extensions to them.